The cost of fuel is becoming prohibitive for drivers of larger vehicles, so much so that sales of the big, thirsty vehicles like Hummers are on the decline. More and more people are opting for smaller, more economical cars to reduce running costs as well greenhouse gas emissions. Folk are becoming more realistic and rejecting the out-dated belief that a large car indicates success. And really, who needs a big seven-seater just to impress the neighbors when you are the only person in it? My fuel costs have almost halved with my nifty little new car, I have saved hundreds of dollars on insurance and it is a breeze to park! Downsizing my vehicle certainly has saved me money and will continue to do so for as long as I have the car. Many homeowners are struggling to pay their mortgages in these troubled financial times. Some are realizing that downsizing their home could be the answer to getting back some control over their lives, not to mention reducing the stress they are living under. Downsizing the home is traditionally the domain of retirees and empty-nesters but ordinary homeowners are now starting to consider it a sensible move. Many are realizing that all that space is dragging them down financially. How much room does a family really need? Statistics released by the National Association of Home Builders show the average home size in the 1970s was 1400 square feet; in 2004, this had blown out to a whopping 2330 square feet, almost twice the size. As families are reported to be smaller, why do we need all that extra space? While there’s many reasons why house sizes have grown so much, I reckon we need more space to store all the ‘stuff’ we have these days. How long is it since you cleared out all those spaces where you store the things you don’t use very often, if ever? How much space is used for storage in your home? Here is an interesting exercise – get a pen and paper; write down the total square footage of your house and the monthly mortgage or rent amount you pay. Divide the dollars by the square feet and you will get a figure that is the cost of each square foot of space per month. Next, figure out how many square feet you have allocated to storage, making sure you remember all closets, spare rooms, garage, basement and attic. Multiply that by your monthly cost per square foot figure you got in the beginning and you will find out how much it is costing you to store all that stuff. Does that inspire you to have a giant clean-out? Here is an example of the above exercise. Just say your current home is a total of 2,800 square feet and your mortgage costs you $2000 per month. You are actually paying 71 cents for every square foot of house. If you determine that you have 1000 square feet allocated to storage, it’s costing you $710 a month just to store all that stuff! How much of it could you get rid of so you don’t need the space and would be able to downsize and save money? Knowing what percentage of your current home you have allocated to storage can show you that downsizing is possible without any loss of living space, but huge savings in a variety of ways. Firstly, you will be paying less for a smaller home so there is an up-front saving on mortgage repayments before you even start. Utility bills will be lower because there is less space to heat and cool; try applying the same formula we used to calculate storage costs to work out what it costs you per square foot for utilities. Real estate taxes are calculated on the size of the house so a smaller house will attract a lower tax rate. Maintenance costs will be lower as will your insurance premiums. As well as downsizing your car and your house, what else can you think of where going smaller has the potential to save you money? Credit cards come immediately to my mind; by downsizing the number of cards you have, as well as their balances and credit limits, you are certain to save lots of money in interest and repayments. 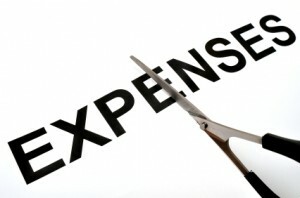 I hope this article has started you thinking about how you can save money by downsizing. Things like that are bad it is just that it is good to ask ourselves how much we need them before we buy them. This helps determine if they are a need vs a want. I recently downgraded from my Chevy trail blazer to a Malibu and I’ve been spending so much less on gas.Great information about downsizing on a home. Good for you. We have a car that is great on gas. We never want to have to give it up. I agree. We are on a big declutter mission ourselves. I can’t wait to be finished and see how much more room we have. big house – big car – big ego – small bank balance. Not always the case but theres a hell of alot of people who have all the trappings of wealth, but not the money that goes with it. Well said. It is true. You can’t judge a book by its cover. Just because people have all the new gadgets and items doesn’t mean they can actually afford them. How about cable and cell phone packages? You could probably save some money by cutting down on the number of channels you get and rarely or never watch. Do you really need all the features on your cell phone package? Do you need unlimited texting, or would a package of a couple hundred be enough, same with a data plan, and how about all those extra calling features, call waiting, 3 way calling, forwarding, etc? Great point. We actually got rid of cable a few years ago. It is great. We were just throwing money away as we have little time for TV. Our house is 1370 sq. ft. for a family of three. The house is paid off, so we aren’t thinking of moving anytime soon. My wife drives a new Prius, so her gas mileage is great. I drive a 2000 Dodge Dakota 4WD pickup. It’s a great truck that I used on dirt bike trips with friends and family. It is a quad cab, meaning it has a full-sized back seat, and 4 doors. It is also a gas hog. It can get 22 mpg on the highway, but it only gets around 12 mpg around town. I no longer have any motorcycles, so I am thinking of getting rid it. Good for you guys. Sounds like you have made some great changes that help save you money. We have an SUV which is also a gas hog but it comes in really handy on camping trips, farm trips, and in the winter on icy roads.. Part of me wants to keep it. That’s a really neat way of thinking about it. I’ve never considered the monthly cost per sq. ft. as a thing to look at. This will really work well if/when we move when looking to downsize our house. If you do the calculation, let me know how it goes. I would be interested in hearing about it. Great tips! I never thought this way. Nice way of thinking. I always try to think outside the box. We had to downsize without moving out. Our girls are in college and I basically shut off the upstairs and our energy savings have been terrific. I closed vents, doors, unplugged everything and closed blinds. Houses are selling here, but property values haven’t recovered. We aren’t under water, but aren’t quite ready to sell. Have to admit I’m looking forward to it down the road. I love how creative you have got to save money in the mean time. Great ideas. Definitely going to keep those in mind if I am ever in that same situation. Its true. If you free up money on some things it can help open doors for other things. I just downsized to a much smaller home and am really happy that I did. Homeownership is expensive and is often more expensive in the long run than renting when you take all costs into account. We have a small home too. Sometimes I wish we had more space but then I remind myself we have all that we need. great insights! I would have never though about it in this way. Definitely got me thinking about how I can save more money. Thanks for this! You are welcome. Thinking out of the box is always the way to go. I love the idea of looking into the storage space and asking whether the stuff inside is worth the $25 per month it costs. Things in a different perspective. Thanks!